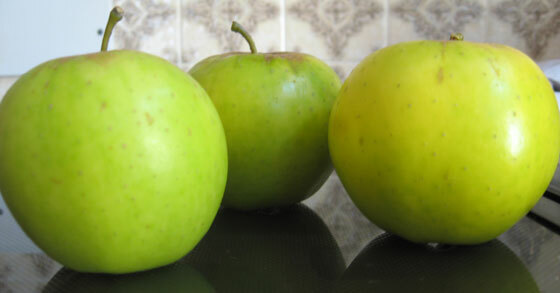 The crispy crunch of a . . .
. . . home-grown apple is one of the delights of late summer and early autumn. 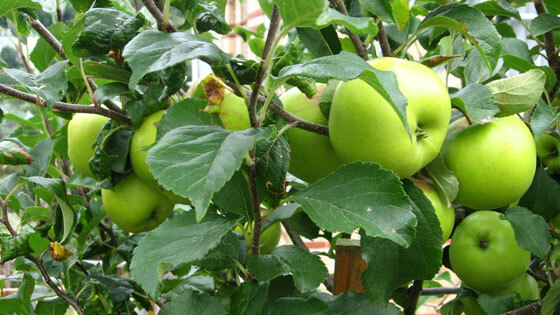 We’ve got two small apple trees and this year they have borne more fruit than ever before. 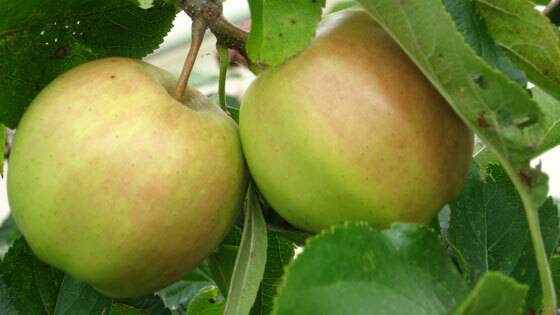 While an apple bought from a supermarket may be bigger, rounder, shinier and smoother than one straight off a tree that is bumpy, misshapen or smaller, it’s unlikely to offer the same full flavour. When you pick them, you know that these apples have not been sprayed with chemicals or transported by chiller van: they are fresh. They really don’t take much looking after, but their taste cannot be beaten. Posted in food & drink. Tagged with apple, flavour, home-grown, robzlog. ← Ending another afternoon blackberrying . . .